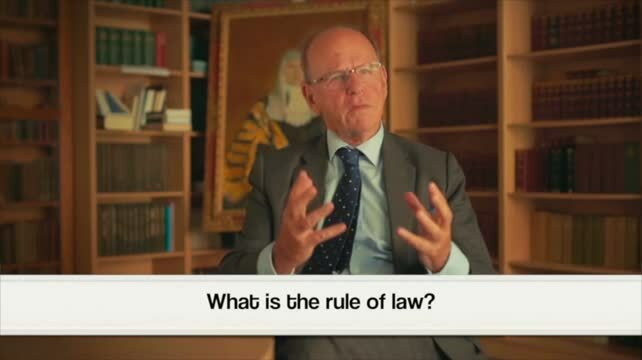 There seems to be a missing fourth concept (or sub concept) from one of the existing three (3) concepts of the principle of the “Rule of Law” in what professor Albert V Dicey in 1885 had defined as the “Rule of Law”. Although the “Rule of Law” has always been meant to be fair, stable, definite, clear, predictable, impartial and NON contradictory, professor Dicey could not (in 1885) have had the foresight to make the prediction that first line lawyers in Australia – in the 21st Century we live today – would find a way of circumventing the three (3) concepts of what professor Dicey had stated in 1885 to constitute the “Rule of Law”. In English speaking countries like e.g. the USA, Canada, South Africa, India or Australia, people are familiar with the colloquial expression : “There is something DICEY about this or there is something DICEY about that” – meaning that something is either risky, unclear, ambiguous or is reliant on the factor of chance, like e.g. the result obtained by the rolling of a DICE. In other words, something that relies on the unpredictable factor of chance cannot be said to be free of risks, precise, clear, predictable, stable or definite. 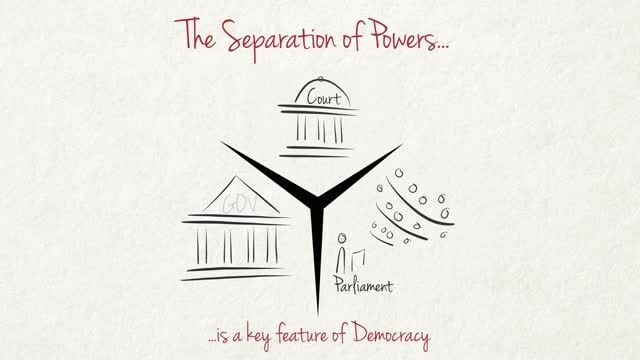 That missing fourth (4th) concept (or sub concept) in the principle known as the “Rule of Law” is that the “Rule of Law” should rely essentially and unequivocally on the true, correct and most importantly, on the ACCURATE definition of all the words that constitute all individual statute laws that are contained in the Acts of Parliament written in the language that is employed when the said individual laws are written. Even though the provisions of the Universal Declaration of Human Rights and the Berne Convention are universal agreements that most of the English speaking member countries mentioned above have ratified, first line lawyers in Australia conveniently and unscrupulously declare – seemingly with a lack of integrity – that the rights under the Declaration of Human Rights and the rights under the WIPO convention definition of IP Law (that are incorporated in the Berne Convention) are rights that DO NOT EXIST as Legal Rights. In fact, first line lawyers in Australia have taken the liberty – against the notion that the “Rule of Law” CANNOT be contradictory according to professor Dicey’s definition – to profess that they have the exclusive privilege of “having it both ways” ... meaning that the rights under international agreements which have been ratified by Australia are only subordinate (or are only accessories) to Australia’s national statute laws, and therefore cannot challenge (or overrule) – [on what grounds – to satisfy Australia’s silent discriminatory policies??] – the Legal Rights that seemingly exist ONLY in the said national statute laws enacted by the Australian Parliament. Is not the “Law” supposed to be a tool of the Justice System (anywhere and everywhere in the world) that ensures that Justice is done when the “Law” is applied?? 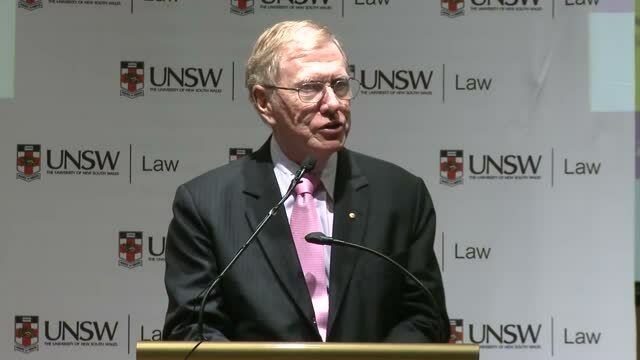 Just like his Honour Justice Michael Kirby has said to the students studying “Law” at the university of New South Wales during orientation week in 2013 : “If the Law did not have Justice, then the Law would have lost its meaning”. Taking into account that the sovereignty of Parliament is SUPREME (or PARAMOUNT as some say) anywhere and everywhere in the entire world, the distortion of the true meaning of the key words contained in the enactments devised by the Legislative Governments and put in place by the Executive Governments of some English speaking countries, seems to make a mockery of the principle known as the “Rule of Law” by making it so obvious that this principle can conveniently become a paradox or be full of ambiguities when or if need be. Consequently, the words which make up the Australian English version that is widely spoken by mainstream Australia, very often have different and sometimes opposite meanings to their equivalent counter parts when the true and authentic King’s English is spoken, like e.g. in the UK. 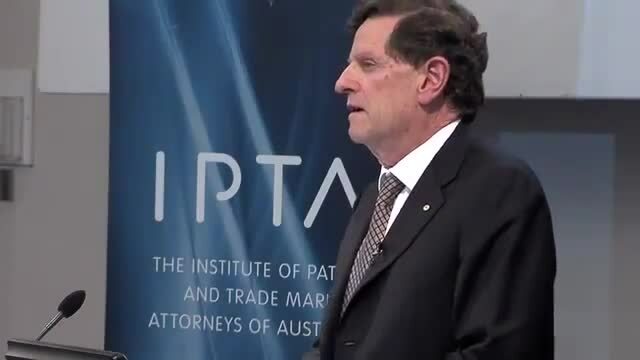 Extract from the speech titled "A public Law perspective on Intellectual Property" made by the ex CJ of the High Court of Australia during the Francis Gurry lecture at the Melbourne University on the 25th of July 2012. The Judiciary CANNOT be joint respondent and adjudicator at the same time. The EX C.J. of the High Court of Australia declaring that the RIGHTS under the WIPO Convention definition of IP Laws are rights that DO NOT EXIST as LEGAL RIGHTS ... except as creatures of municipal legal rules. This is a formal and official REFUSAL by Australia to HONOUR its ratification of the Berne Convention. Also, in Australia the definition of the word “Author” in Part IX of the Australian Copyright Act, 1968 under its Section 189 titled “Definitions” in relation to cinematographic films, is said to be the film maker and NOT the veritable author who had created (i.e. conceived) the original material (meaning the ORIGINAL story and/or the ORIGINAL screenplay) upon which a cinematographic film is based. Since the Berne Convention was written in French and the correct and accurate definition of the French word “Auteur” -- before it is translated into English -- has exactly the same meaning as that of its equivalent English counter part by the word “Author” – i.e. 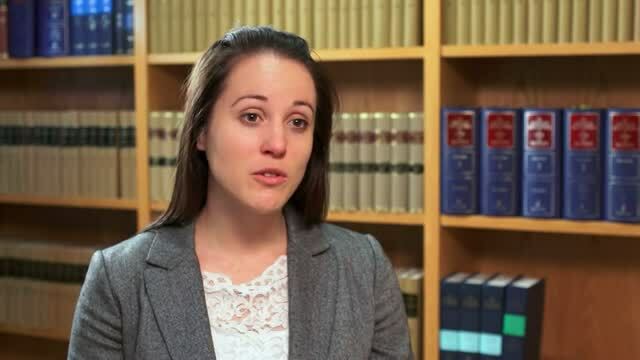 a person who creates (meaning conceives) an original artistic work from scratch, Australian lawyers would – in a similar context – insist that according to Australian Law, the legitimate mother of a new born child is the mid-wife and not the biological mother. In addition to these inconsistencies in the Australian version of the English language that is widely spoken by mainstream Australia, the word “integrity” is subject to limitations imposed by the selection of ONLY SOME Government departments which have – exclusively – been made to come under the jurisdiction of the Integrity Commissioner in the Australian Law Enforcement Integrity Commissioner Act, 2006, but which Act of Parliament – in contrast – conveniently excludes ALL other Government departments. Paradox 2 - distortion of the definition & meaning of word "Author"
Definition/Meaning of the French word "Author" distorted by The Australian Federal Government in the year 2000. It is interesting to note that in Australia the word "tea" is an evening meal, whereas in other English speaking countries "tea" is a beverage prepared by infusing tea leaves in boiling water. In some Australian states, a "scallop" is a circular slice of potato dipped in batter and deep fried in vegetable oil. 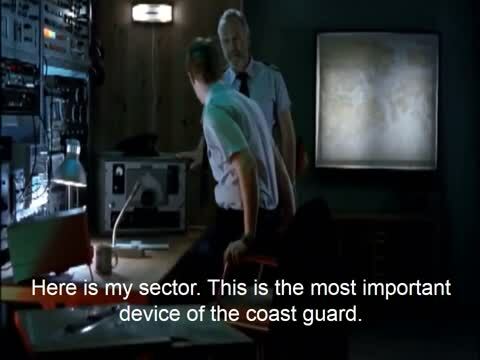 In reality, however, the shell fish known in England and other English speaking countries as a “scallop” has been conveniently given a different spelling in Australia to read “scollop” (pronounced SKOLLOP) ... which incidentally happens to be underlined in red by both the UK and American Microsoft spell-checks. This confusion in Australia about the word "scallop" is due to the fact that both scallops shell fish and circular slices of potato are cooked by using the same method. When we take a look at the “Law Enforcement Integrity Commissioner Act, 2006” we find that the powers of the Integrity Commissioner are subject to limitations imposed by the selection of only a few Government bodies which have been made by law to come under the Jurisdiction of the said Integrity Commissioner. These limitations create the impression among members of the voting public that they have been included into this particular Act of Parliament – whose purpose is to control the powers and jurisdiction of the Integrity Commissioner – were intended by design to effectively deactivate the fundamental function of this newly introduced Government body, whose original purpose was purported to stop and/or prevent systemic corruption in Government. It needs to be remembered also that the word “independent” in the context of the separation of powers – which states that members of the Judiciary are “independent” from the Legislative and Executive Governments – does NOT mean that members of the Judiciary can, and in fact, enjoy the right of surreptitiously acting in a manner that would be considered to be so conspicuously autocratic and dictatorial in any other democratic country – instead of acting in a manner that is truly independent from the other two arms of Parliament – or could enjoy immunity from the scrutiny of the Legislative, the Executive or even the Senate (or Congress) in their respective countries, when there is collusion between the Judiciary and another arm (or arms) of the same Government. In fact, it is the responsibility, function and duty of the other two arms of Government to make sure that Australia – as a State – has an efficient Justice system which operates with 100% integrity and is unconditionally free from any form of corruption whatsoever – and more so, free from any possible corrupt acts perpetrated by lawyers, judges and/or even politicians, who have taken the oath of allegiance to the current Head of State, and/or who will take the same oath of allegiance to the proposed new Head of State, if or when Australia becomes a Republic in the future. When there is collusion between the Judiciary, the Executive Government and/or the Legislative Government, the Judiciary CEASES to be INDEPENDENT. A Government that is 2/3 autocratic is anti Constitutional - The Commonwealth of Australia is a country that is supposed to be 100 % DEMOCRATIC. When the Judiciary has made itself redundant, it is the function, responsibility and duty of the Australian Senate to take over and make sure that Justice is done in accordance with the SUPREME principle of the Rule of Law. The distortion of the TRUE definition and meaning of key English words, so as to avoid the responsibility to enforce the SUPREME principle of the “Rule of Law” which is to have Justice done, certainly does not establish the SUPREMACY of the people who surreptitiously engage in this sort of underhand practice. This kind of underhand practice instead degrades the people who use it, down to an INFERIOR level that is consistent with people on the edge of society who have not received a high level of education. What happened to the two pillars which form the foundation of the Rule of Law ? The Magna Carta - A Canonical Instrument of the "Rule of Law". Judgment FCA 1822 dated 14th December 2001 that was pertinent to Federal Court case V682/01 bears witness that Clause 40 of the Magna Carta has been breached and is still being breached on an ongoing basis ever since the 14th of December 2001. It is said that Magna Carta’s importance is a major concept, principle and instrument of the “Rule of Law”. It is considered by lawyers and the courts to be a SUPREME tool of the Justice system anywhere else within the British Commonwealth. If the Magna Carta is considered to be a significant symbol, principle, instrument AND tool of the “Rule of Law” … what purpose does it serve if lawyers and the courts in Australia refuse, not only to recognise its importance but also refuse to enforce it ? The result of painting an elephant white is : The SUPREME and POWERFUL beast that is an elephant ends up serving absolutely NO purpose. A white elephant loses ALL its physical strength by becoming a paradox when it is painted white. In contrast, however, the symbolic values of the algorithms of computer algebra, after they were replaced by numeric values, as are used in the Heuristics of search engines on the Internet – and which Heuristics are governed by the algorithms of computer algebra – produce end results that are 100 % accurate when Arboreal or Boolean searches are conducted on the Internet. It can be concluded, therefore, that the “Rule of Law” is nothing more than a paradox and has become a white elephant, whereas the Algorithms of computer algebra have NOT and can never be ambiguous in nature or become paradoxes. As a result of the miscarriage of Justice committed in judgement FCA 1822 dated 14th of December 2001 that was pertinent to Federal Court case V682/01, Clauses 12 and 14 of the Magna Carta have been breached and are still being breached on an ongoing basis ever since the 14th of December 2001. No income earned in Australia can possibly be taxed at a rate of 100 percent -- without the consent of the income earner/taxpayer -- and even more so according to Clauses 12 and 14 of the Magna Carta. How could Australia’s trading partners worldwide possibly place their trust in Australia’s integrity in relation to the mutual trade agreements that they and Australia have entered into and signed, if Australia refuses to honour its ratification of the most relevant universal agreement – in terms of economic growth – which is the Berne Convention. 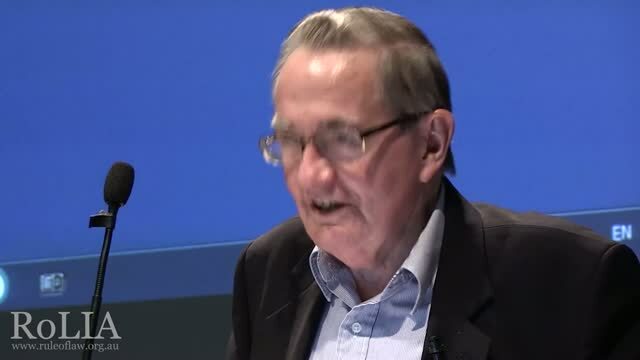 To allow the Universal Declaration of Human Rights and the INCORPORATED ratified terms of the Berne Convention to be OVER POWERED by national laws that rely on the distortion of the true English definition of the key words they consist of, would be a stark contradiction of the concept expressed in the “NON contradictory” nature of the principle of the “Rule of Law” that professor Albert V Dicey had so virtuously defined in 1885. Since the rights of the people are better protected under Common Law (as professor Dicey said) it is not difficult to conclude that the highly contrived principle known as the “Rule of Law” in Australia must be set aside and Justice – INSTEAD – should be administered and enforced in accordance with the set of virtues that each and every single decent, respectable, well-bred and honest person in the entire world is born with. One does not need to be a lawyer, a judge or even a politician to know the difference between right and wrong. The expression "Just Terms" of Section 51 (xxxi) of the Australian Constitution CANNOT be changed without a Referendum to read "Just Terms + Compensation". 01. 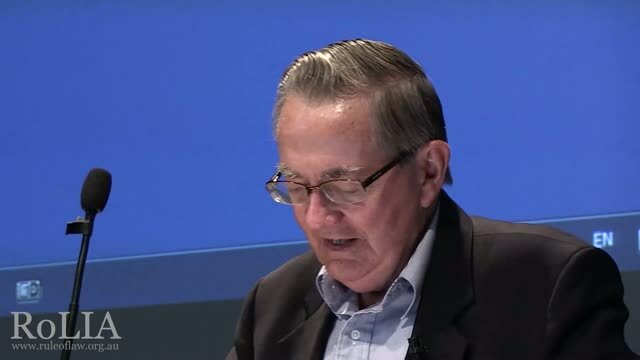 In the extract from the speech made by the ex Chief Justice of the High Court of Australia (as is featured in the video clip above) the two words “Just Terms” of Section 51 (xxxi) of the Australian Constitution are referred to as “Just Terms + Compensation” without a referendum. 02. In line with the above statement, the Australian Productivity Commission recommended in Chapter 19 of its report to Parliament, that the Federal Government substitutes the traditional royalties owing to authors of original artistic works, with compensation in the form of punitive damages capped at $ 750,000.00 and imposed by the Federal Circuit Court on dishonest people who infringe the IP rights of owners of Intellectual Property. 03. It is to be observed that such a recommendation – (if implemented) – would not only be in conflict with the expression “Just Terms” of Section 51 (xxxi) of the Australian Constitution, but would also create an incentive for dishonest people to infringe the rights of owners of Intellectual Property. 04. If implemented, this recommendation would indirectly provide a financial reward for dishonest film producers who would be encouraged by invitation to commit an act of Copyright infringement, so as to benefit from the savings that they would realise if they avoid fair negotiation between themselves (i.e. film producers) and the true authors of original artistic works, with regards to the traditional (and negotiated beforehand) agreement made in terms of the amount of royalties that would be owing and payable to authors. 05. This recommendation would also affect inventors and innovators who would be denied their traditional royalties (as earned in the past for their valuable creative works) that were normally paid in exchange for their valuable inventions and innovations. Paradox 6 - distorting the definition and meaning of the word "Compensation" and use the distorted version of this English word to displace and replace the predictability of Section 219 of the Copyright Act, 1968 thus providing an incentive for dishonest film makers to infringe the IP rights of owners of Intellectual Property. 06. There seems to be confusion between the meaning of the word “compensation” and the meaning of the word “recompense” in Australia. When the English version of Australia's official language is spoken - as in the UK - "recompense" means a reward given in exchange for services rendered, whereas "compensation" means financial payment for making amends for damages caused. "Compensation" can also mean payment of a supplementary financial amount as an adjustment made for the deficient nature of an initial financial amount previously paid as “recompense” for services rendered, that was grossly insufficient. 07. To displace and replace the balance owing to an income earner with “compensation” that is LESS in financial value than the balance owing – after the deduction of the accurately calculated amount of the tax payable component in the realm of accounting by the Australian Taxation Office – certainly DOES NOT SATISFY the meaning of the expression “Just Terms” of Section 51 (xxxi) of the Australian Constitution. 08. Consequently, the meaning of the word “compensation” – as a substitute that is intended to displace and replace traditional royalties – would be most inappropriate (and also misplaced) if "compensation" happens to be LESS in financial value -- after the deduction of the tax payable component -- than the balance owing to ONE particular income earner/taxpayer, from the income earned by him in exchange for his original artistic work for the film “Crocodile Dundee” since May 1984 –(i.e. a legitimate income which was calculated in compliance with the percentage points prescribed by Section 219 of the Australian Copyright Act,1968). The funds which represented the author's income in the form of his royalties were defalcated to secret bank accounts in Switzerland … This is so despite the fact that the said income earner's/taxpayer's and author's original artistic work had previously -- ALSO -- been acquired by the Federal Government in May 1984. The correct interpretation of the "Rule of Law" by British lawyers. The conversion of the "Rule of Law" into the "Rule of Mugs"
This player was found NOT GUILTY of a Shoulder Charge. The above video clip which depicts Congressman the Hon. Steve Scalise, Minority Whip Louisiana, questioning Mr. Marc Zuckerberg about the nature of the algorithms of computer algebra that Facebook utilises, demonstrates that American politicians – UNLIKE AUSTRALIAN LAWYERS – are not only AWARE of the existence of the algorithms of computer algebra, but are also KNOWLEDGEABLE as to the means by which individual people worldwide (including their likes and dislikes & other minor characteristics) can be IDENTIFIED and ISOLATED with pin-point accuracy with the use of the algorithms of computer algebra. If these minor details and other characteristics of individual people worldwide can be identified and isolated so easily by means of the algorithms of computer algebra, logic dictates that the identification and isolation of true authors of so called orphaned works would also be extremely easy to achieve with the use of the algorithms of computer algebra. I have come across a video clip on You-Tube in which the Hon. 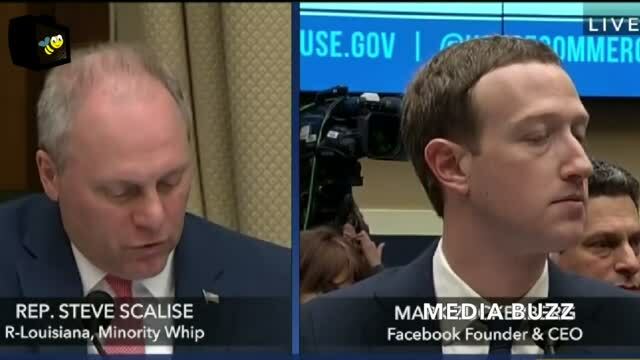 Steve Scalise, Republican whip from Louisiana, questions Mr. Marc Zuckerberg about the nature of the algorithms that Facebook utilises. I guess that the content of this email would be of some interest to you. In May 1984, I devised an analytical method that I had intended to use in the future to identify myself as the true author of an original artistic work which I had created at that same point in time, for a very successful film that was planned for production in 1985 and for exhibition worldwide two years in the future (i.e. in 1986). My reason for doing so was suspicion at the time of the possibility that I would be denied my royalties entitlement for my creation of the said original artistic work, on account of the unconventional manner that had been employed to record the said original artistic work in May 1984. The work was recorded on an audio magnetic tape recording device instead of the conventional manuscript in hard copy written form. The title that I had given to the said analytical method since May 1984 was : “Psycho-Linguistic-Analysis” (PLA). The analytical method that I had meticulously devised then, consisted of one stochastic model which was to merge with another deterministic model to subsequently trigger an elimination process right through to the isolation of ONE only probability among an UNLIMITED number of probabilities. For this method to work, there was a need for me to insert into the story line for the film project at point, ninety-six  sets of key words which I was confident at the time would identify myself (if need be in the future) as the true author of the said original artistic work for a film that was pre planned to have a screen duration of ninety-six  minutes. The reason being that the method was designed to be similar to the Heuristics of search engines (today) when an Arboreal (or Boolean) search is conducted by users on the Internet – It needs to be remembered not only that the Internet did not exist in 1984 but also that an Arboreal (or Boolean) search conducted on the Internet TODAY requires ONLY an average of 4 to 5 key words typed in any Search Engine’s search box to isolate ONE only probability among an UNLIMITED number of probabilities. What followed would certainly affirm the dictum “Necessity is the mother of invention”. As the title suggests, a PLA was designed to be carried out by means of an assessment of the nature of the words which are used by anybody and everybody in speeches, screenplays, court transcripts and court documents, as well as in written media publications. Based on the expressed (as well as the implied) meaning of the words that are used when a person strings together a set of words to form a sentence, a numerical value is allocated to each and every word that a speech or a document in written form consists of. A POSITIVE numerical value is allocated to words which reflect e.g. RELEVANCE, truth, virtue, goodness or merit etc. and a NEGATIVE value is allocated to words which reflect e.g. IRRELEVANCE, EVASION, fallacy, evil, fraud or violence etc. As a result of the proven efficacy of the numerical characteristics of the analytical method that I had devised since May 1984, the computer software industry subsequently replaced the symbolic values of the algorithms of computer algebra – as were previously utilised in the Heuristics of Search Engines on the Internet – with numerical values. These numerical values have proved since, that they can effectively eliminate any possible inaccuracies in the results of searches conducted on the Internet by users, by providing end results that are 100 % accurate every time an Arboreal (or Boolean) search is conducted. When I was denied my royalties (as I had anticipated all the way back since May 1984 would be the case in the future) there was a need for me to take my grievances (i.e. the relevant IP dispute) to the Federal Court in Melbourne, for adjudication. The Federal Court decided to displace and replace the relevant issue that I had brought before the court for adjudication by the court (and not by the respondents) with a secondary side issue that had no pertinence whatsoever to the real issue at point – i.e. that proof of authorship for my original artistic work for the film in question, by means of the ninety-six  sets of key words that I had inserted into the story line for the said film since May 1984, was in fact conclusive. This negative course of action undertaken by the Federal Court was due probably to the legal profession in Australia (at that particular point in time) being totally unaware of what could be achieved if the algorithms of computer algebra are used to identify the author/s of so called orphaned original artistic works. I doubt whether the Australian legal profession (at that point in time) was even aware of the existence of the algorithms of computer algebra, since computer science is not included in the university courses undertaken by would-be lawyers in Australia. 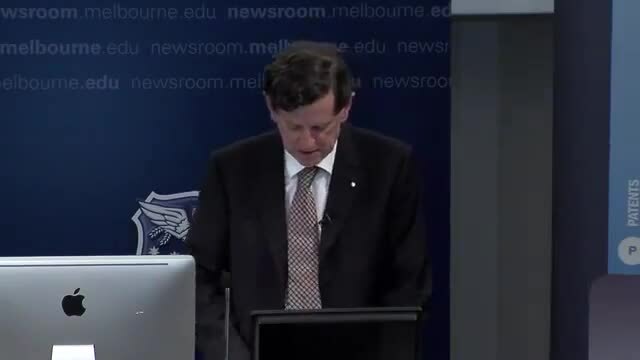 I then successfully used the same analytical method that I had devised since May 1984 to establish that the judgement issued by the Federal Court in Melbourne Australia, was not only flawed and contained very little substance, but also that it contained elements of perjury and perversion of the course of justice on the part of the lawyer representing the respondents. So, as you have probably already concluded by now, the algorithms utilised by Facebook most certainly have no intent to place (or currently contain) any “bias” in its algorithms to give preference to one political party to the detriment of another political party in the United States, or anywhere else in the world just the same. What is set aside, blocked or discarded altogether by the Heuristics of various computer automated systems that are governed by the algorithms of computer algebra (as demonstrated above) rely essentially on the nature of the words that advertisements or news feeds are made of. If some particular advertisement/s or news feeds accumulate a very high sum total of NEGATIVE numerical values, the system would automatically give preference to the ones that accumulate a high sum total of POSITIVE numerical values. It needs to be noted on the other hand, however, that mainstream media in Australia deliberately places a bias in the same kind of algorithms that they use to control (by filtering) public feed back to articles they publish and shared on Social Media, to block user comments that are inappropriate, offensive, rude, or of adverse opinion etc. … but most importantly comments that denounce with evidence in support that the subject matter and/or part of the content of the articles being published by mainstream media is/are fallacy/fallacies. I sincerely hope that this information will provide some useful information to yourself and your colleagues in the US Government’s endeavour to legislate against any deliberate “bias” placed in the algorithms utilised by all Social Media platforms -- AS WELL AS mainstream media -- to give political advantage to one political party in preference to another. If the Messiah lived today, His famous dictum would read : “I am the light – I am the truth – I am the algorithms of computer algebra”. It is interesting to note that the French President did not use any of the English words : Delightful, Delectable or even Succulent – He used the word “Delicious”. According to the Oxford Dictionary, the meaning of the English word “delicious” CAN ALSO apply in relation to a person’s sense of humour as well as to a person’s sense of smell. The French President speech is a TRUE reflection of the courteous, polite and subtle nature of expression that French folks normally use that is renown worldwide. 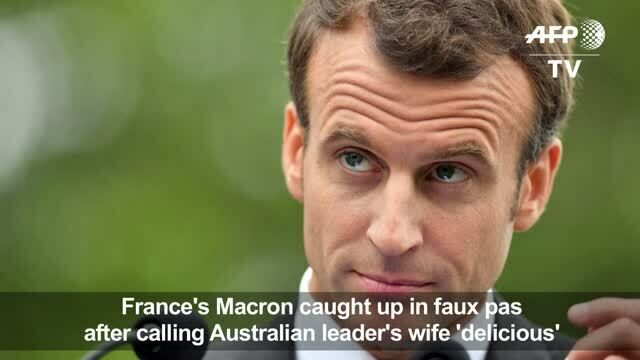 For people who can read minds, this purported "slip of the tongue" would indicate that there was NO mishap in the translation of the French word “delicieuse” into “delicious” by the French President, Emmanuel Macron, during his visit to Australia. By reciting the speech written by his personal English speech writer, the French President was most probably (and indirectly) having a dig at the Hon. John Howard for having made a similar mistake in the translation and definition of the French word “Auteur" into English by the English word "Author" in the year 2000, to mean a person or persons who COPY another person's original artistic work for personal financial gain. The source from where deliberate breaches of the "Rule of Law" in Australia have taken place can be traced back to the Australian Federal Government of the day in the year 2000. This shameful course of action was carried out by the Australian Federal Government in 2000, by DISTORTING the true definition and meaning of the French word “Auteur” -- translated into English by the word "Author" -- to mean “a person or persons who COPY another persons’ original artistic work for personal financial gain”. Evidence of this "below the belt" hit can be found in the Federal Legislative Government's definition of this word in Part IX of the Australian Copyright Act, 1968 under sub section 189 titled “Definitions”. Please download & refer to Chapter 5. CONCEIVED - the very original artistic work that they (i.e. the writers) are alleged to VANDALISE ? Is this a drive or a walking stick ? the Federal Government's underhand attempt to abuse the so called SOVEREIGNTY of Parliament by failing to observe the MAIN CONCEPTS (or FUNDAMENTAL PRINCIPLES) of the “Rule of Law” in the year 2000. Has the Magna Carta been sunk ? May Day, May Day, May Day … What are you “sinking” about, Mrs Day (... or can WE call you May) ? Do you intend re-floating the British cruise liner ship named Magna Carta which was insidiously torpedoed by the Australian submarine named HMAS Judiciary, when the Magna Carta was transporting international tourists to Australia?